One with specialized knowledge of a particular subject, who can defend one’s opinion(s) with reliable information and research. Someone with experience, education and training in a particular subject matter who can help the judge and/or jury decide a case. An Expert Witness is someone who possesses a few to several attributes related to the specific topic at hand, such as Marketing, Advertising, Media, Trademarks, Intellectual Property, etc. Some of these attributes are experience, knowledge, training and ongoing education, research, data and/or ability to articulate this knowledge to the legal/court system. Another way of looking at the subject: Professionals, who know their subject areas well, know how to communicate their knowledge, experience and expertise to others in everyday language and words. Comparing an Expert Witness to a Good Teacher? An expert witness is a witness who, by possessing special knowledge, skill, training, or experience, is qualified to provide testimony in matters that exceed the common knowledge of ordinary people. At the heart or center of it, an expert witness is a teacher. If you think about the qualities that make a good teacher, those are the qualities that are required to be a good expert. A good teacher has extensive knowledge of their subject matter. A good teacher is organized, with the subjects and material presented. 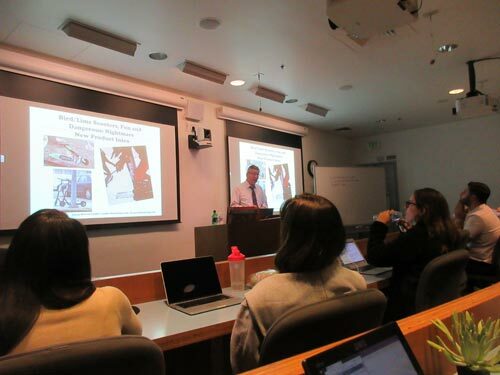 The lecture, exhibits and PowerPoint presentations are presented in a logical manner. A good teacher is prepared and understands the work that was done, and is ready to answer questions asked by students, or in the case a judge, jury or arbiter. A good teacher is always patient, calm, thoughtful, and respectful. Sponsored by the Business Law Society at Southwestern School of Law, 2014. Larry Steven Londre’s expert witness cases have involved: marketing; advertising; breach of contract; business practices; business and professions code compliance and violations, including unfair competition, unlawful, or unfair, or fraudulent business activities; contracts, sponsorships; false advertising; trade libel; media; trademark infringement; intellectual property; patents; usage of models; advertising agencies; trade secrets; client business practices; unfair advertising; deceptive advertising; violations of Lanham Act; unjust enrichment; trademarks at issue; comparative advertising/promotion; licensing; packaging; the value of advertising and media campaigns. Cases included contracts between partners, directors, advertising agencies, clients, advertisers, suppliers, distributors, production firms and media. Litigation support, approximately 51.1% plaintiff and 48.9% defendant cases. Also provided pre-litigation analysis for both sides on pending litigations. Previous expert consultation services for attorneys and law firms in California, Washington, New York, Texas, Florida, Nevada, South Carolina, Michigan, Missouri, Pennsylvania, Utah, along with the American Arbitration Association (AAA). Londre at Loyola Law School’s Advertising Law Class 4065/E1. As a Marketing and advertising expert plus marketing consultant he’s trying to help attorneys from misusing terms whether in court, in a deposition or in a filing. 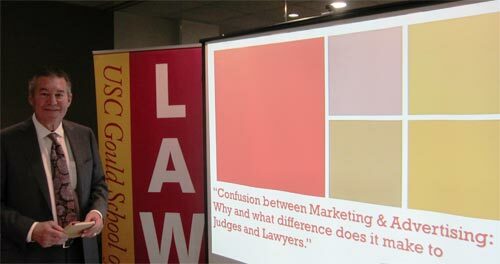 The genesis of Larry’s latest Marketing presentations go back to attorneys misusing terms and the words/terms “marketing” and “advertising” interchangeably. 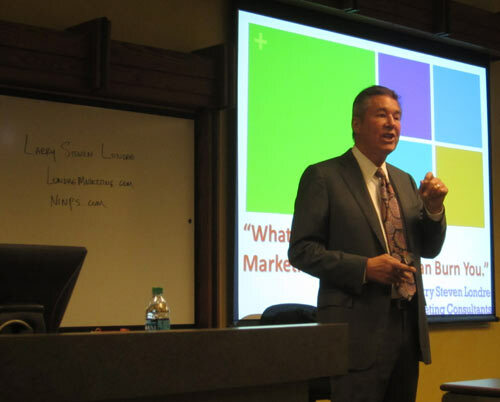 Larry has taught Marketing, Advertising, Business Strategies and Global Marketing at USC, CSUN, LMU, Pepperdine and has made hundreds of presentations also at Advertising Center, UCLA, Pepperdine, Foshay High School, and others. 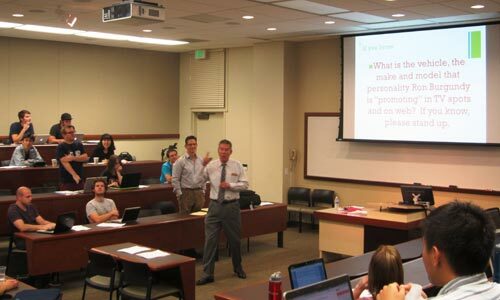 At UCLA School of Law: “What is Marketing? What is Adverting? Promotion? Sales Promotion? Nine P’s of Marketing? Larry presents contemporary examples and insights; he is told his presentations are “fun, educational, and interactive.” He has given international/global seminars and his talks and presentations use both USA and global marketing examples.